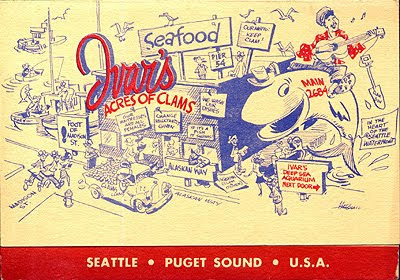 ONE KEY MUSICIAN on the 1950's Sea-Tac country scene was guitar ace, Rivers "Jack Rivers" Lewis – the brother of famed hillbilly bandleader (the Lone Star Cowboys) and western film star, "Texas Jim" Lewis. 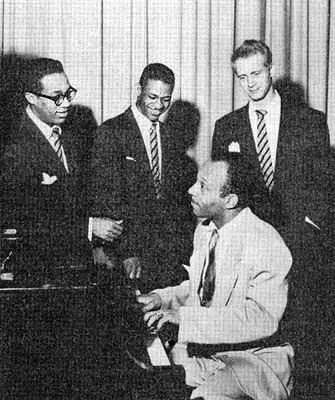 In the '30s the boys had recorded for Vocalion & Decca Records – & in the '40s Jack recorded for Capitol Records; on scores of Hollywood film soundtracks; & picked some hot solos on many hits (i.e. 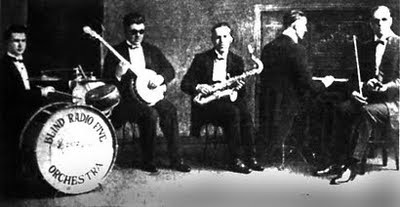 "Easy To Please," "Milkcow Blues," & "Mine All Mine") as a member of Jimmy Wakely's Saddle Pals. 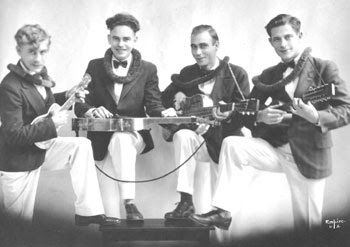 Along the way, Jack became one of the very first players to own an electric solid-body Spanish guitar. 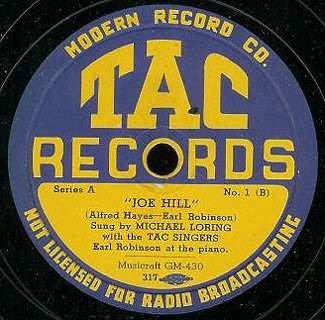 Custom-made for him circa 1947 by the fabled SoCal-based machinist, Paul Bigsby, Jack's unique – & recently discovered -- guitar seemingly predates the 1948 unit built for fellow Capitol artist, Merle Travis, which has often been credited as the original Bigsby. 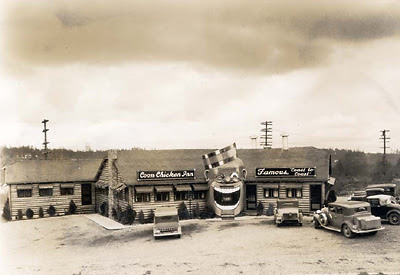 In 1950 the brothers settled in Seattle where Jim soon gained further notoriety as the host of KING-TV's kiddie show, Sheriff Tex's Safety Junction & Rivers hosted the beer-fueled hillbilly music program, Rainier Ranch. 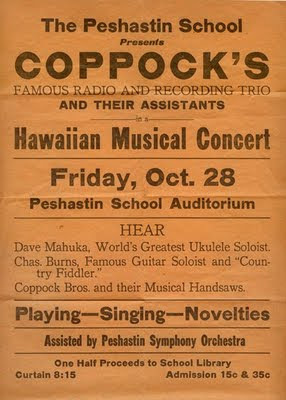 But today's topic is the music Jack played during his Northwest years – and the local record companies that he recorded for. 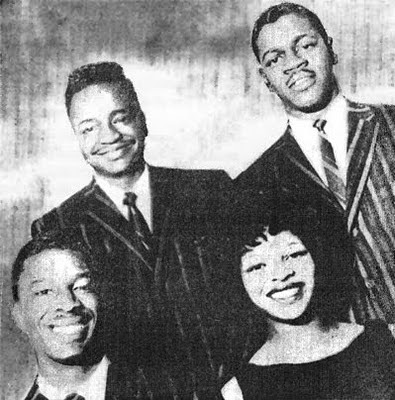 In time he would operate his own labels including Ranch, JR Ranch, NOW, & MRM Records, but probably the first Seattle label to feature Jack's guitar sounds was Listen Records which was based out of Oliver Runchie's Electricraft recording studio at 622 Union Street. 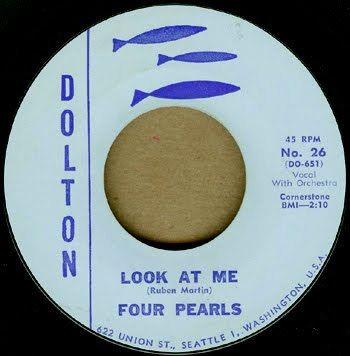 Listen issued Jack's contribution to the then-popular topical saga first sparked by Bremerton's Arkie Shibley & the Mt. 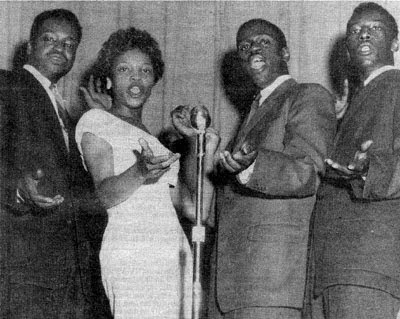 Dew Boys & their 1950 hit, "Hot Rod Race," & later taken up by Spokane's Charlie Ryan whose "Hot Rod Lincoln" broke out as a local hit in 1955. 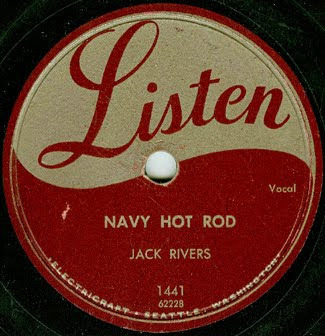 Issued between those two country-rap discs (around September, 1952), Jack's "Navy Hot Rod" single showcased the type of hot guitar licks he also played live at area roadhouses including Seattle's Circle Tavern (9602 E. Marginal Way) & Coe's Country Club (NE 110th Street & 10th Avenue NE) up into the 1960s. 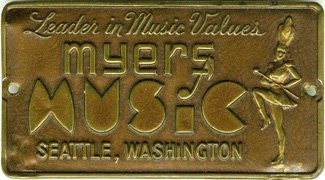 THE MUSIC BIZ is a notoriously corrupt one – with record distibution being particularly guilty of nefarious activities. 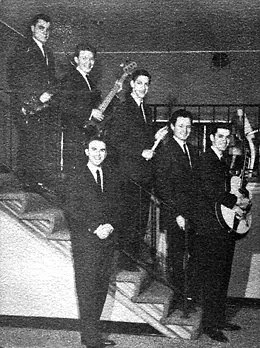 Beyond that, the commercial juke box realm is one known to have been infiltrated by the Mob. But until the recent discovery of this artifact, I had no sense of the challenges that tavern & cafe owners once faced in dealing with their contracted juke box servicing agents. 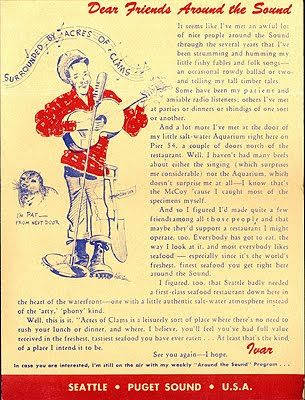 This old undated poster from the Citizens Committee warned that Seattle was the site of an intimidation campaign by "Stooges," "Goon Squads and Gangters Molls" who were apparently leaning on various local venues to surrender their current juke boxes in order that "obsolete equipment" – sent here from New York by the "Werlitzer" [sic] Phono Company – could be installed instead. 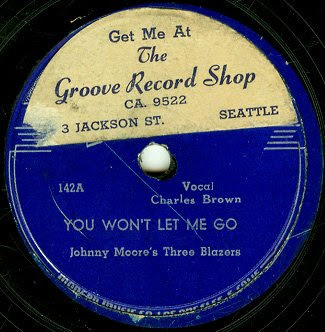 It claimed that those jukes ("some 400 of them, are in public warehouses in Seattle") were being dumped here because Wurlitzer will "have a new model ready soon." 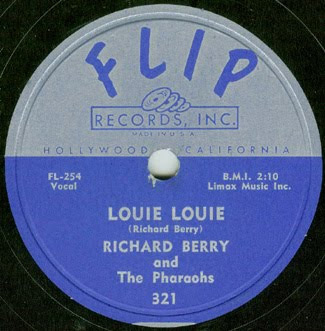 My initial guess is that the controvery may date back to around 1948 or so – when those big 10-inch 78rpm singles were first being superceded by the smaller 7-inch 45rpm singles – a change that required all-new juke boxes. 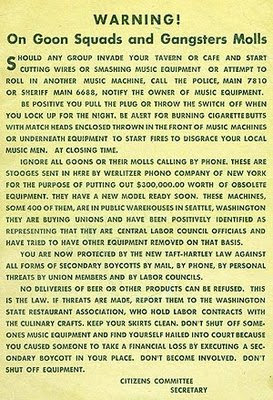 The cautionary poster's details are downright chilling: "Should any group invade your tavern or cafe and start cutting wires or smashing music equipment or attempt to roll in another music machine, call the police or sheriff. 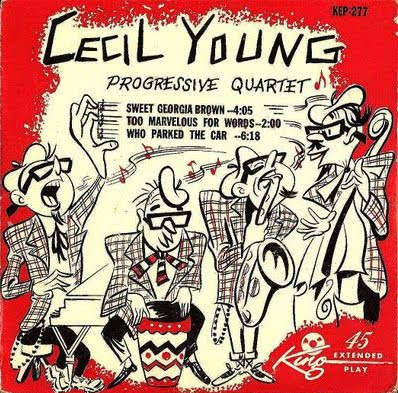 ...Be alert for burning cigarette butts with match heads enclosed thrown in front of music machines or underneath equipment to start fires to disgrace your local music men. ... Ignore all goons or their molls calling by phone." 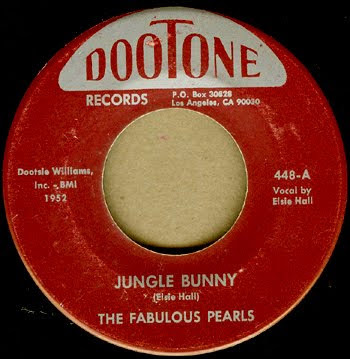 It goes on to assert that various unions had been bought off; that certain suppliers of beer or foodstuffs – being in cahoots with the gangsters – might illegally try and deny delivery orders; and furthermore: that if the tavern operators allowed the original juke boxes to be switched out, they themselves would be hauled into court & sued by the original juke box contractors over financial losses. "Keep your skirts clean. 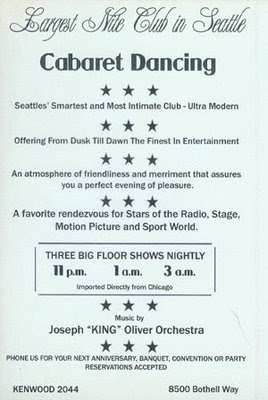 ...Don't become involved..."
A DOZEN YEARS ago I was handed this odd brochure while strolling thru Seattle's U-District Street Fair. 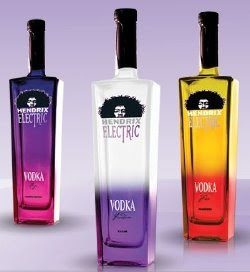 Now, usually I decline to accept freebies from strangers, but a single glance at it – & its cartoon images of various pop culture icons (especially of my Northwest homies, Jimi Hendrix & Kurt Cobain) – caused me to pause and grab the thing. 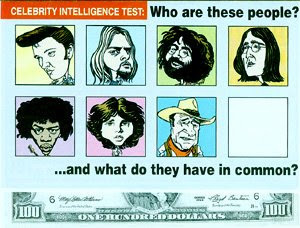 The graphics also included other notables (Elvis, Garcia, Lennon, Morrison, & the Duke), a bit of a benjamin poking out at bottom, & a banner offering a "CELEBRITY INTELLIGENCE TEST." 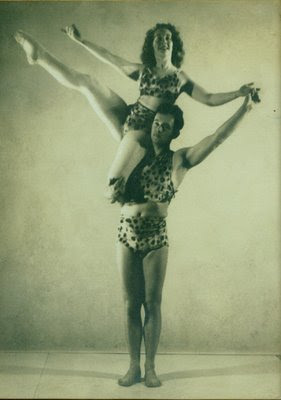 That "test" was comprised of two questions: "Who are these people? "...and what do they have in common?" I was mildly intrigued...until, that is, I read the back-page's text and realized that the thing was merely an inane religious tract (produced by some California-based sect) whose fear-mongering message was simple: what those pop stars all had in common was that "They all earned big money. They are all big name celebrities...and they are all dead." 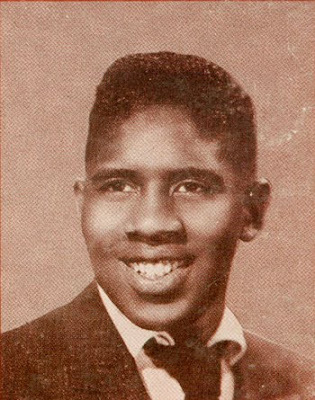 Then comes the expected pitch to reject a sinful life, a final inquiry ("Why is one box empty on the cover of this tract? That's reserved for you"), & the brain-dead closer: "INTELLIGENT PEOPLE READ THE FRONT FIRST." 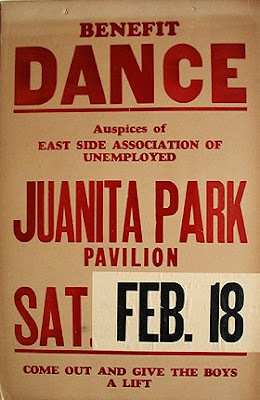 THREE YEARS into the Great Depression – & one month prior to FDR's inauguration (& the beginnings of his New Deal's efforts to turn the American economy around) – the first in a series of community fund-raiser benefit dances was mounted on February 18, 1933) at the Juanita Park Pavilion. 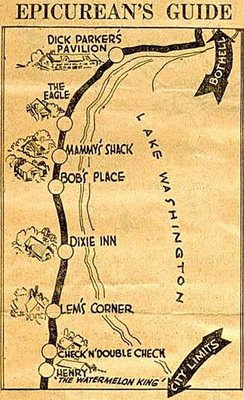 The events were organized by the Kirkland-based East Side Association of Unemployed – one of several area groups committed to cooperative activities intended to provide help to the growing ranks of the newly jobless. 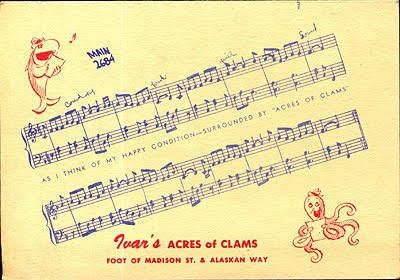 But they were not the first: one history book (by Sara Bader) records that the nation's "first Depression-era 'self-help' organization took root in Seattle... 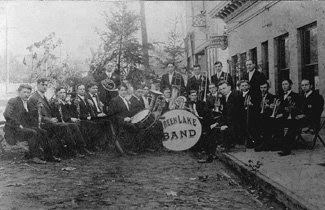 There in the summer of 1931, the Unemployed Citizens League was organized" & by year's end 12,000 members were engaged in bartering: garden vegetables for services; unwanted automobiles for free rent, etc. But one year later – and across Lake Washington –100 Kirkland-area men joined forces and began chopping firewood and planting shared gardens. 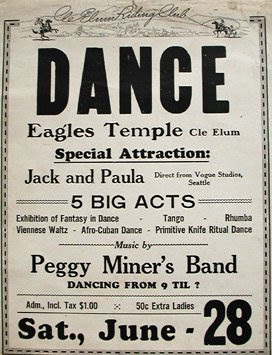 Along with that hard work, were the dances held nearby at Pop Bergeron's Juanita Park Pavilion. 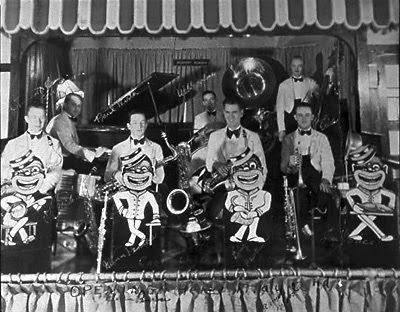 For the entry fee of ten cents, attendees could have their spirits raised a bit by dancing to music performed by a small ensemble – quite possibly, Milt Gootee & his Band. Interestingly, on the flipside of this poster is a hand-scrawled sign that reads: "POTATOES: To Members – ONLY – of East Side ASSN of Unemployed – At 50-cts A Sacks." 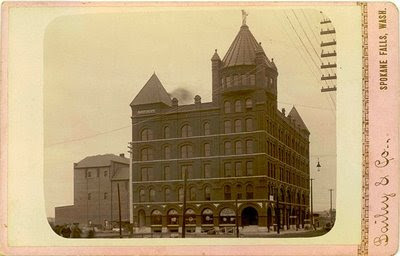 ONE OF SEATTLE's oldest 'hoods – Youngstown – grew up around William Pigott's Seattle Steel Co. mill which was built in 1905. 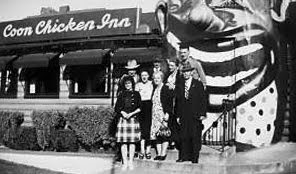 Immigrant new-hires settled into company-owned homes & rooming houses, & a rough-&-tumble working-class business district – including a church, grocery store, pool hall, & tavern – arose along 24th Avenue S.W. (today's Delridge Way in West Seattle). 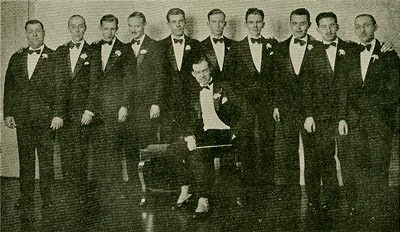 By 1914 neighbors had formed the Youngstown Improvement Club as a social group & a means for helping lift their area up to the middle-class standards of West Seattle in general. 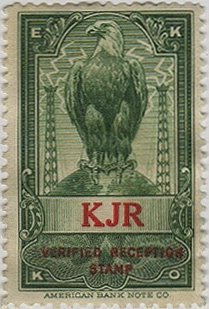 They founded a clubhouse & held many community events there over the decades. 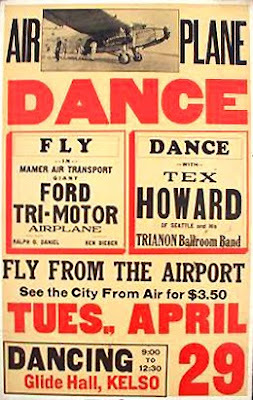 Even as a Seattle-native I knew none of this history until I began researching a new discovery: this poster which advertises a dance on January 1, 1938. 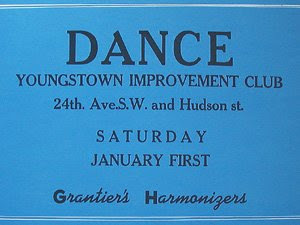 Now, where are all the fotos of that toe-tappin' band: Grantier's Harmonizers? 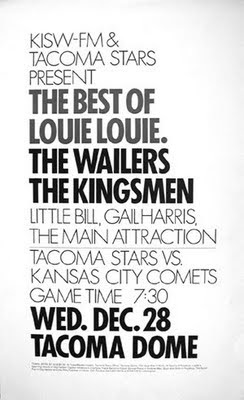 THOSE NORTHWEST grunge rockers, Nirvana, were always targeted by profiteers who cranked out "collectibles" for the band's fans to glom onto. 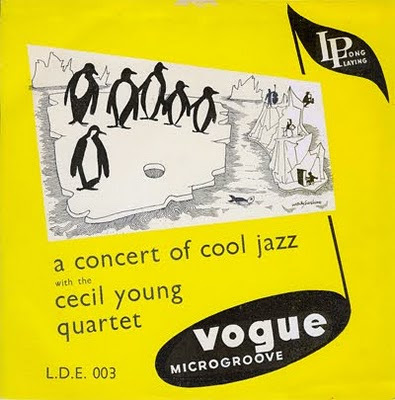 Among the questionable items marketed over the years have been bogus concert posters issued well after-the-fact – & others representing gigs that never happened. Then there are the ones touting gigs at concert venues that don't even exist. 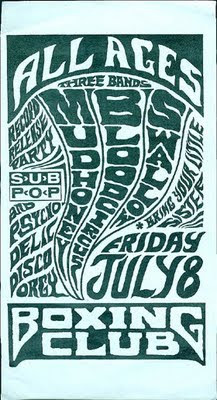 Here is a recent example: a specimen found on eBay that purports to advertise a hella lineup of Nirvana & that esteemed British punk/pop '70s band, the Buzzcocks. 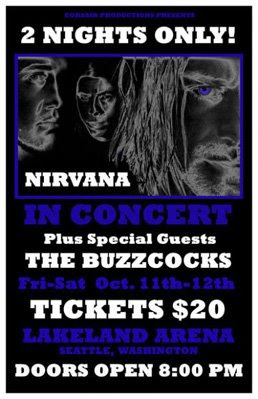 The eBay listing blithely notes that: "This poster is promoting Nirvana and a show to be held on Friday-Saturday 11-12 October, at Lakeland Arena in Seattle, Washington."